Montgomery County Councilwoman Nancy Floreen (Unaffiliated) today will deliver the required number of signatures – 7,255 – to the Montgomery County Board of Elections to be listed on the November general election ballot as an unaffiliated candidate for Montgomery County executive, according to a press release issued this morning by her campaign. Floreen will drop off her signatures to the Montgomery County Board of Elections today at 1:00 pm. She will issue a brief statement, which will be released later today. The Montgomery County Board of Elections will subsequently begin a process to review Floreen’s collected signatures and verify that each individual listed is a registered voter in Montgomery County. 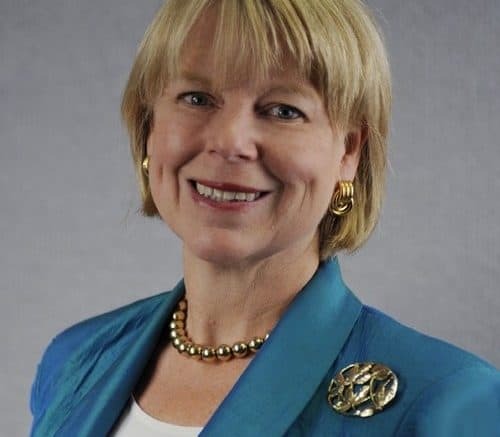 Once her signatures are verified, Floreen’s candidacy for Montgomery County executive will be confirmed, and she will appear on the November general election ballot, facing Republican Robin Ficker of Boyds and Democrat Marc Elrich of Takoma Park. A Miner Detail shares Floreen’s press release. Nancy Floreen for lieutenant governor?